The Green Line was, until recently, the only Metro rail line of which I had not ridden the entire length. When I mentioned my intention to write about it most friends told me that they’d never been on it, and several even asked where it was. For those who are familiar with the Green Line, they likely know it as the rail that doesn’t quite reach either the ocean or LAX. 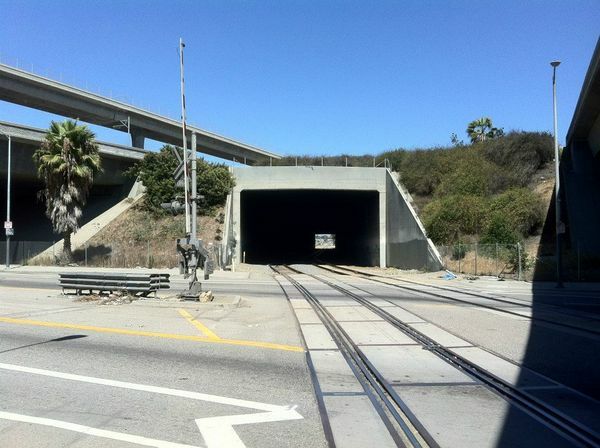 If they think about it further, they might realize that it’s also the only Metro rail line that doesn’t connect to Downtown Los Angeles. It might come as a surprise then that according to Metro’s most recent figures, more people ride the Green Line than the Gold. 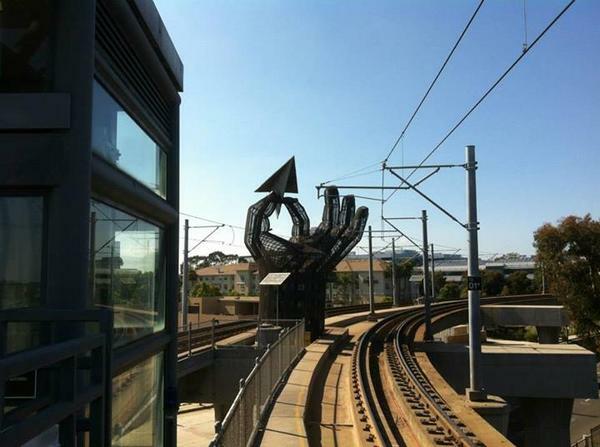 It’s also the fastest of the light rail lines, due to its not intersecting with any streets. Finally, although it doesn’t connect to anything that most would consider to be major tourist traps, it does carry commuters not just between home and work, but also to shopping and dining destinations, as well as lesser-known attractions. 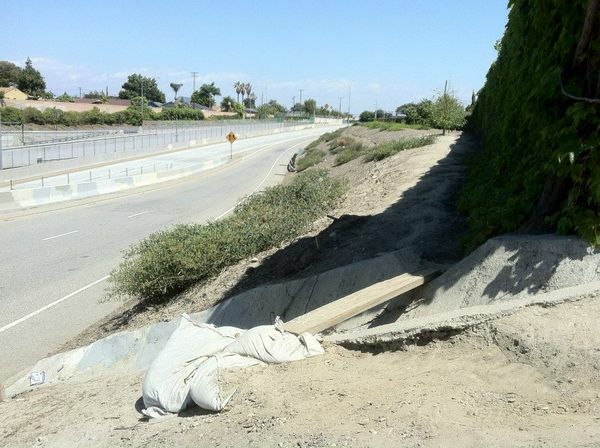 The existence of the Green Line is indelibly tied to that of the 105 Freeway, a roadway whose march to the sea destroyed more than 8,000 homes and displaced more than 25,000 people. 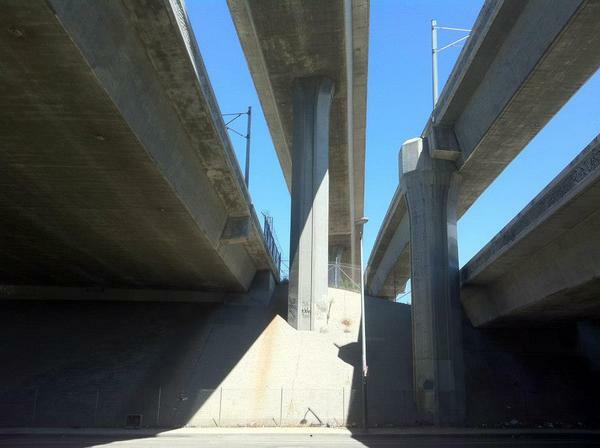 As a conciliatory gesture, the middle of the freeway was left open for some form of rapid transit. 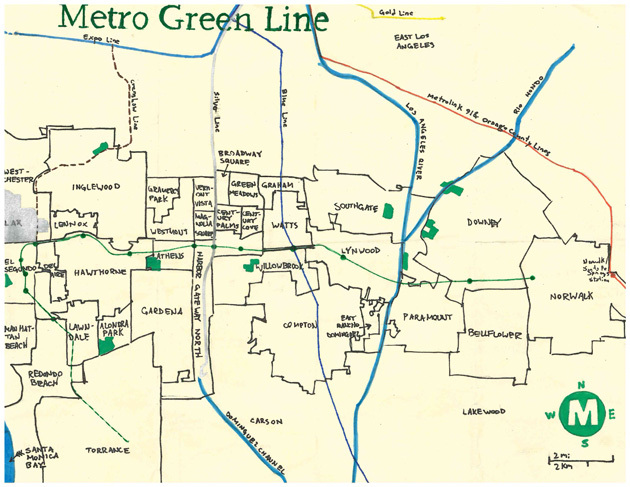 For most of its route, the Green Line thus passes between the lanes that connects the South Bay cities of southwest Los Angeles County to the Gateway Cities of Southeast Los Angeles County, and neighborhoods of South Los Angeles between. Construction of the Green Line began in 1987 when those regions were home to a massive aerospace industry and much of its workforce. 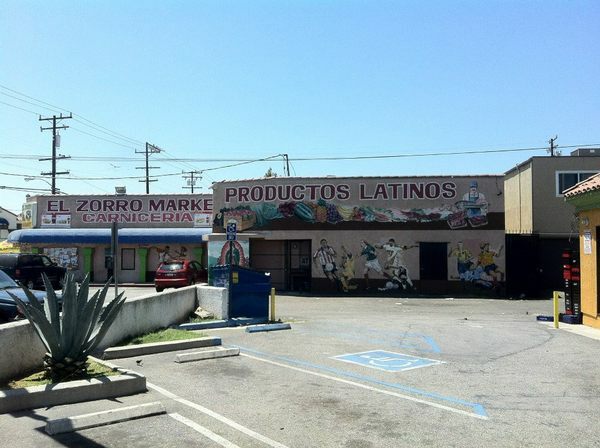 However, the end of the Cold War and the Los Angeles Riots radically altered the character of South Los Angeles and neighboring communities of Los Angeles County (although the aerospace industry still employs a massive, if reduced, workforce). The Green Line’s eastern terminus is in the suburban city of Norwalk, in the Studebaker neighborhood, at the eastern terminus of the 105 Freeway where both the Green Line and freeway abruptly end. The freeway was originally designed to connect to the 5 Freeway but reports suggested that that freeway couldn’t handle the additional traffic. On the other side of the freeway is Metrolink‘s Norwalk/Santa Fe train station, just over two and a half miles east from the Green Line’s easternmost station, and frustratingly unconnected except by surface streets. 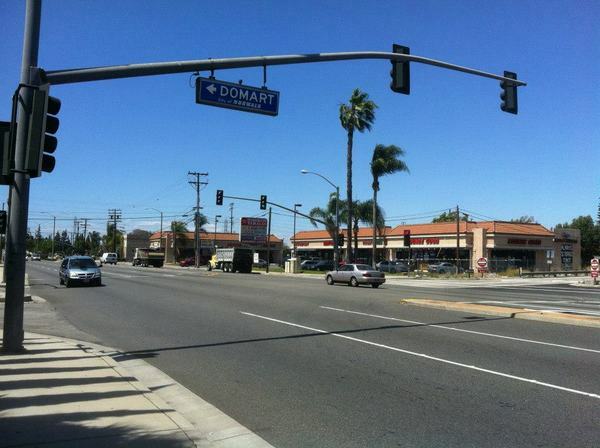 Norwalk – Is this transit oriented development? 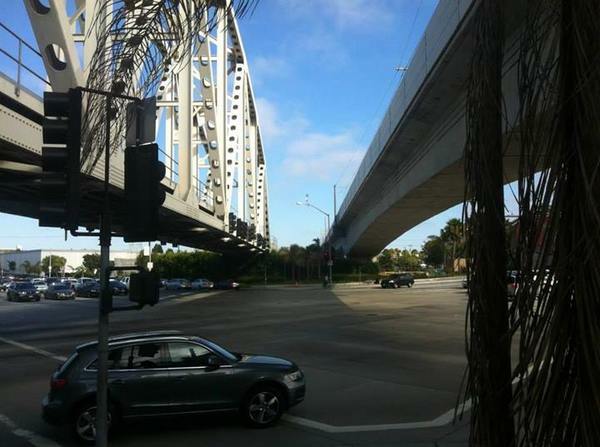 After crossing the Los Angeles River, the Green Line arrives in the city of Lynwood at Long Beach Boulevard. South of the station there’s a small, circular park called Rose Park. North is a park of similar shape and size called Carnation Park. Both were originally landscaped with their eponymous flowers, but are currently dominated by grass and palm trees. 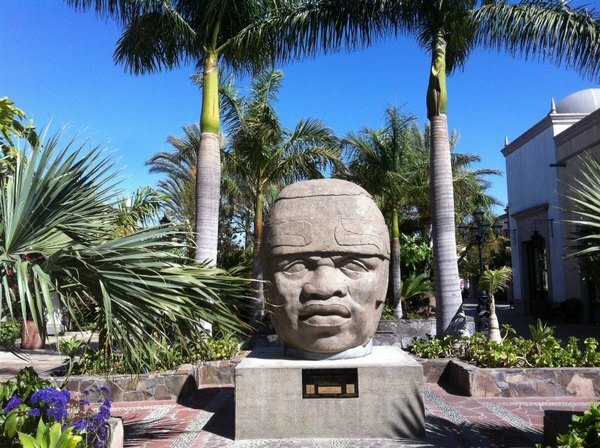 The biggest attraction near the station is Plaza Mexico – a theme park version of a Mexican pueblo with loads of statues, shops, music and dining, including the charming, and delicious La Huasteca. Willowbrook Station (aka Willowbrook/Rosa Parks fka Imperial/Willmington) is located on the border between the Los Angeles neighborhood of Watts and the unincorporated county community of Willowbrook. 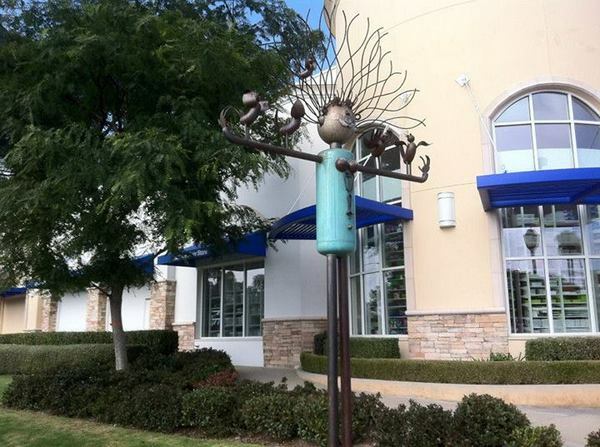 Willowbrook is probably best known locally for being home to the scandal-plagued King/Drew Medical Center, nicknamed “Killer King.” Just south of the station are the Kenneth Hahn Plaza shopping center and the small Willowbrook Library. Just west of the station are the Nickerson Gardens, the largest housing projects in the west, designed by pioneering black architect, Paul Revere Williams, and completed in 1955. Just east are the older Imperial Courts, built in 1944. 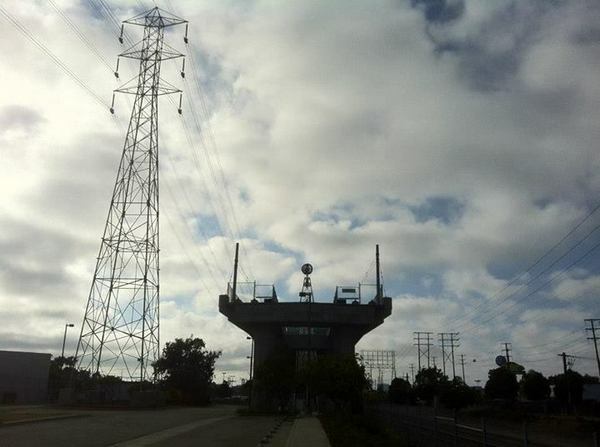 Watts’s most iconic feature, Simon Rodia‘s Watts Towers, are located one stop north on the Blue Line, which shares service with the Green Line at Willowbrook. 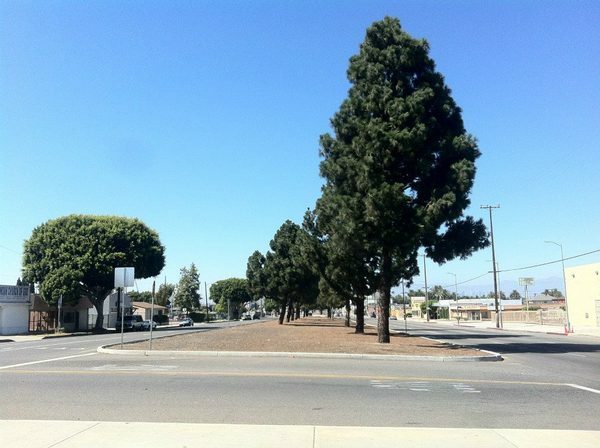 West of Compton Creek is Avalon Station, located in Harbor Gateway North, part of Los Angeles’s 1906 shoestring strip annex that connected the city to the Harbor in the south with a narrow strip of land. 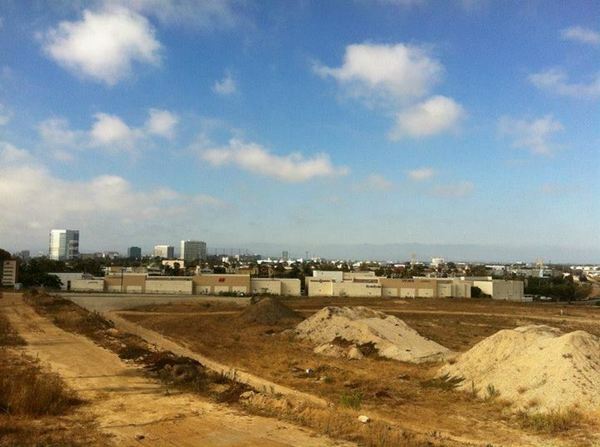 Just north are Century Cove and Century Palms, two recently named neighborhoods of South Los Angeles. 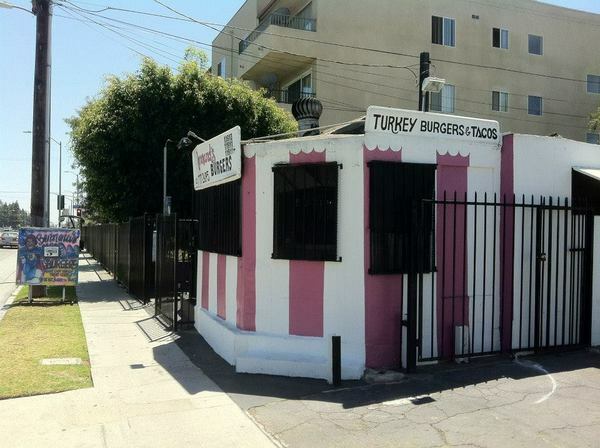 The area around the station is almost entirely residential, with the notable exception of a few schools, churches and restaurants, including the strikingly-painted Bernard’s Burgers. A little bit further southeast is the pretty, 39 hectare Earvin “Magic” Johnson Park, which was known as Willowbrook Park until 1994. Harbor Freeway Station is located at the massive Judge Harry Pregerson Interchange, the intersection of the 110 and 105 freeways, the Green and Silver Metro lines, numerous bus lines, and a Union Pacific railway. 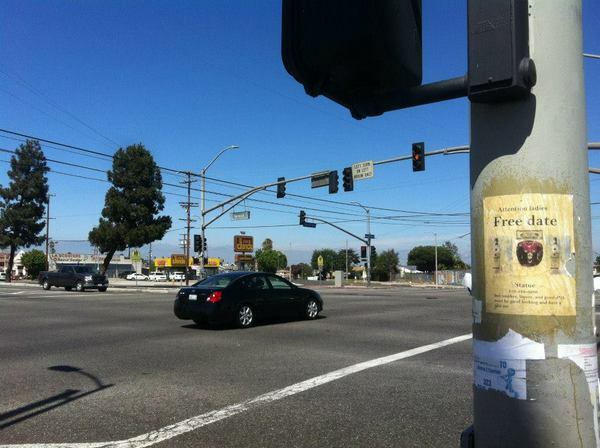 It’s located in Harbor Gateway North near the border of another newly-designated neighborhood, Magnolia Square. The area around the station is mostly residential and, due to the presence of the interchange, somewhat desolate. For those who don’t live or work in the neighborhood, the interchange itself is probably the most interesting feature of the area. When completed in 1993, the 37 meter high interchange was the “biggest, tallest, most costly traffic structure yet built by California Department of Transportation.” Two years later it won an Award of Merit at the Excellence in Highway Design awards ceremony. Although no longer exceptional (Houston now has more than a half dozen similar interchanges), it’s still an impressive bit of design and engineering. 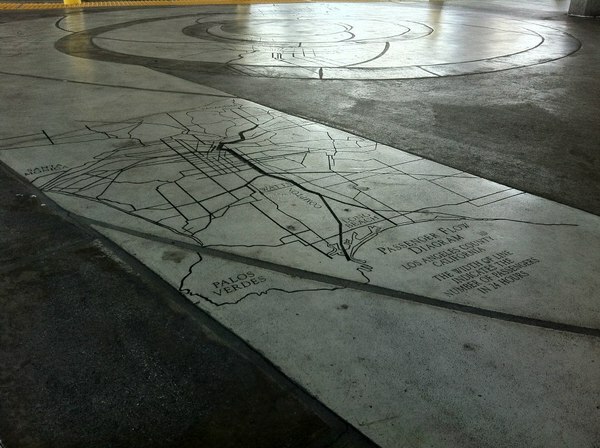 It also includes, as do all the Green Line stations, station art — in this case Steve Appleton‘s City Imprints. 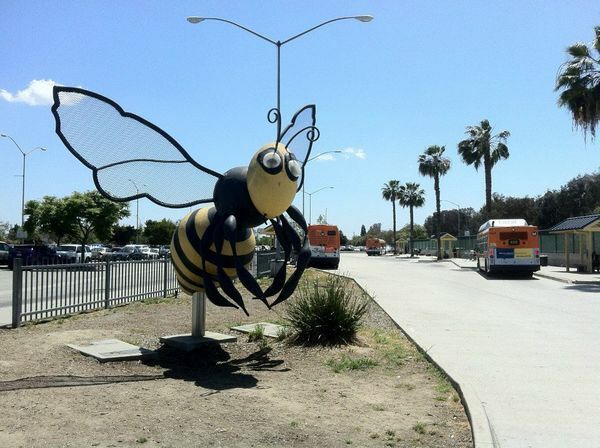 The Vermont/Athens Station along Vermont Avenue is located near the intersection of the Los Angeles neighborhoods of Magnolia Square and Harbor Gateway North, and the unincorporated county communities of Athens and Westmont. Although Vermont is one of Los Angeles’s grandest north-south corridors, the section near the freeway is nowadays fairly barren. Its wide median was once home to an interurban rail line that connected the once busy commercial center around Vermont and Manchester with more distant corners of the city. Southside Christian Center first opened in 1950 as a 1,466 seat, single-screen movie theater, the Southside Theatre. A little further north is one of the last Jim Dandy Fried Chicken restaurants, once part of a large national fast food chain. Nearby too is L.A. Scooters, which has an interesting selection of two (and in a few cases, four) wheeled vehicles. 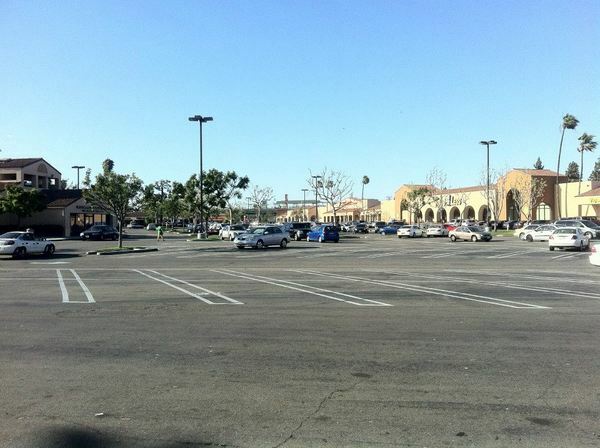 The neighboring area of Hawthorne is dominated by big-box stores and parking lots east of Crenshaw, and Hawthorne Municipal Airport/Jack Northrop Field, Space Exploration Technologies (SpaceX), and a large industrial warehouse area to the west. 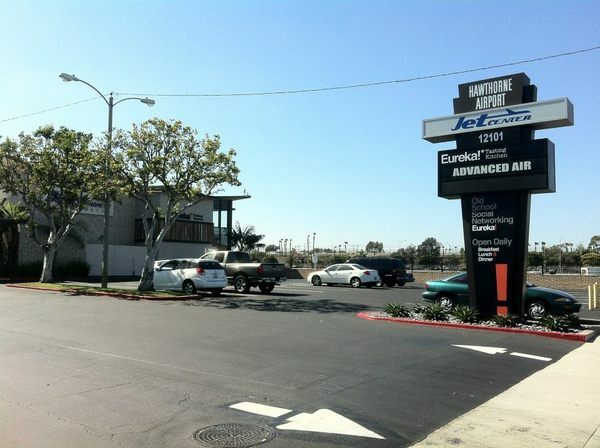 The airline’s Jet Center has recently also become the home to a Eureka! Tasting Kitchen. 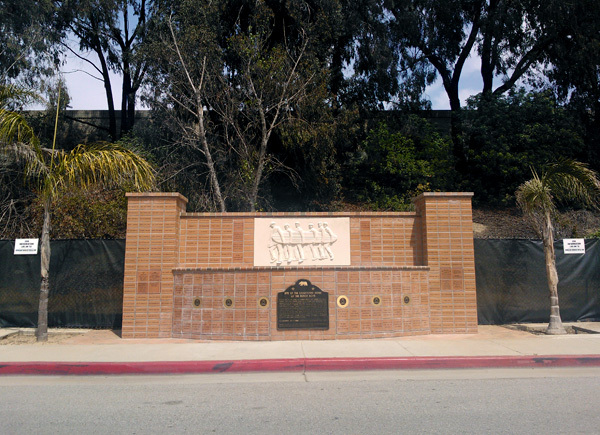 Just north of the airport next to the Dominguez Channel is the Beach Boys Historic Landmark, marking the site of the Wilson brothers’ childhood home that was demolished in the 1980s to make way for the 105 freeway. 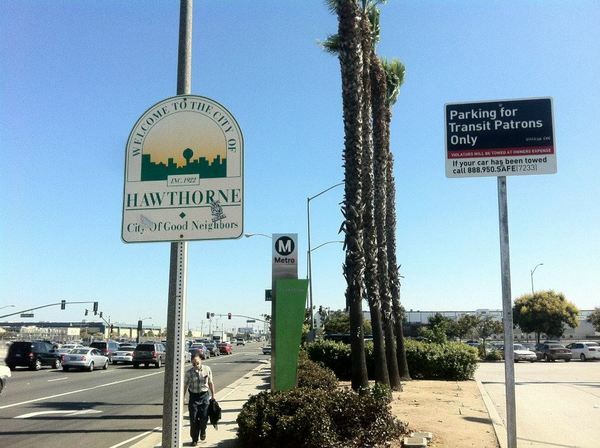 After crossing over the Dominguez Channel, the Green Line arrives at a station on the border of the city of Hawthorne to the south and the unincorporated community of Lennox to the north. 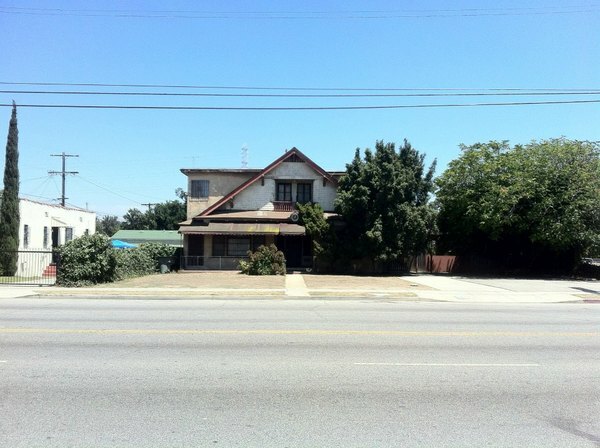 The area of Hawthorne near the station is mostly residential with the notable exception of a large dead mall, Hawthorne Plaza Shopping Center, built in 1977 and abandoned in 1999. 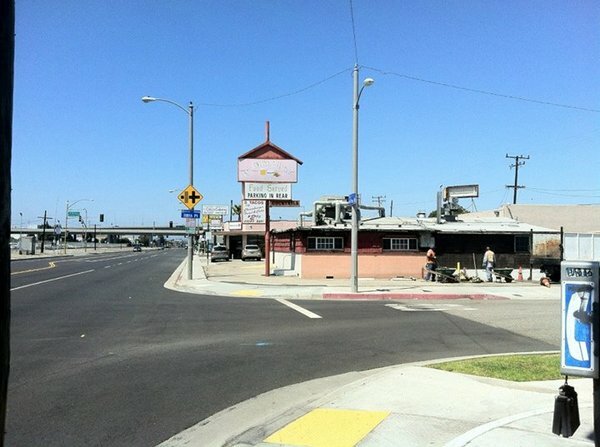 On the other side of the freeway in Lennox, Hawthorne Boulevard is oriented toward motorists, featuring auto repair shops, car washes, car dealerships, drive-thrus, etc. Lennox Boulevard, which intersects it, is more pedestrian-oriented with its sidewalks more crowded than the street both by shoppers and merchandise. 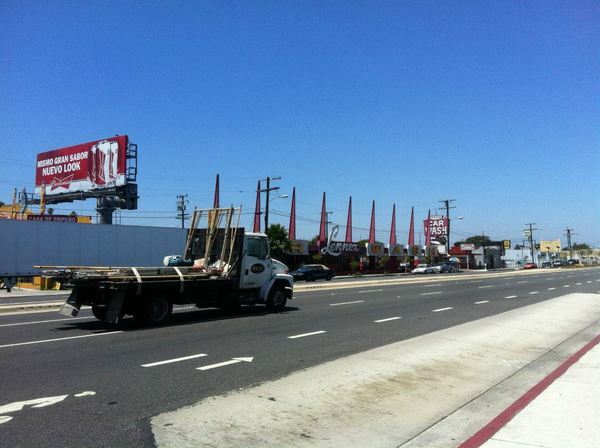 This is also the closest station to Inglewood’s Hollywood Park Casino. 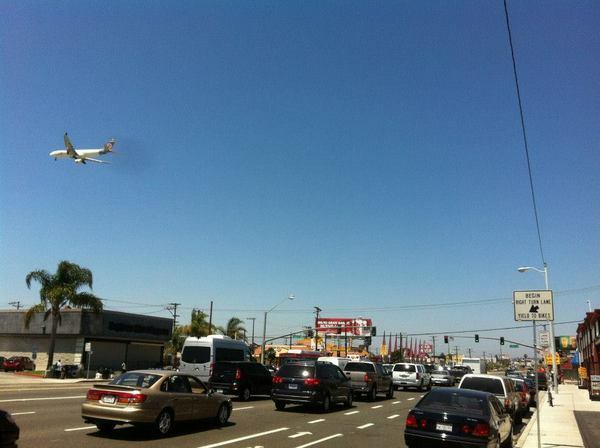 Aviation/LAX is located, as the name suggests, at LAX — albeit at a corner of the property located about three miles from the nearest passenger terminal. 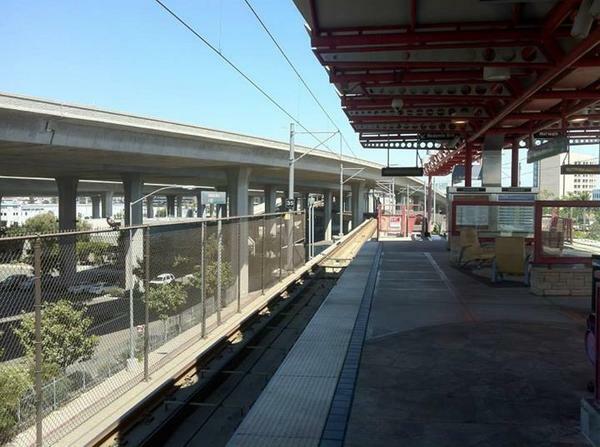 When the Crenshaw line and people mover begin operations in 2019, another station will provide access to the airport and this station will thus be renamed. For the time being, there is a free shuttle connecting the terminals to the station (although the Green Line doesn’t run between 12:55 am and 3:35 am should your plane arrive then). 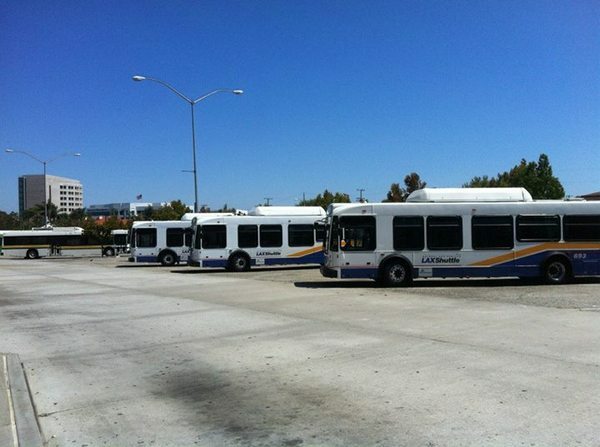 Although not the closest Green Line station to the beach, LADOT‘s Commuter Express 438 also connects passengers from here to the coast in about fifteen minutes. 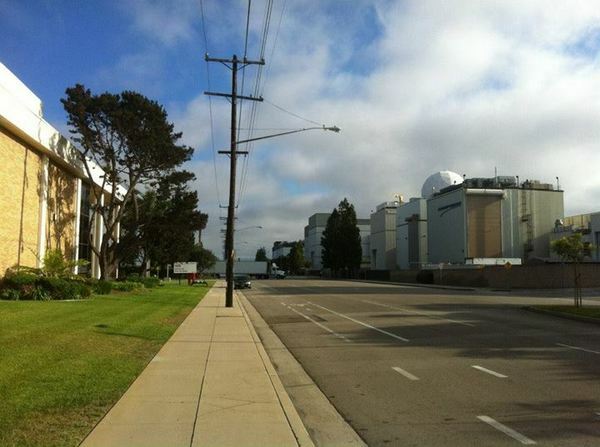 To the southwest is an area of the city of El Segundo dominated by Northrop Grumman, which, even from the station’s elevated vantage, seems to stretch all the way to Palos Verdes in the distance. 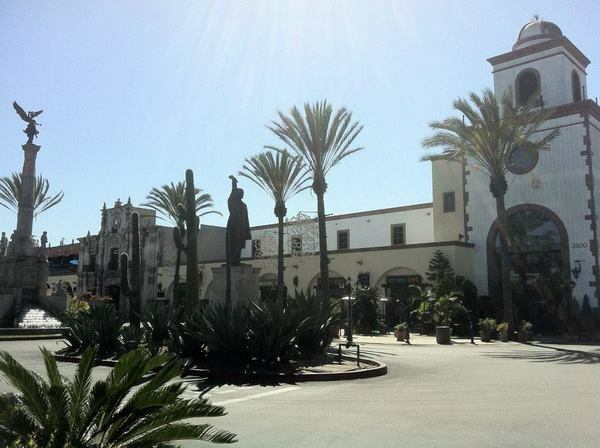 To the southwest is the mostly residential, unincorporated community of Del Aire, which is home to a few restaurants and shops. Nearby to the north, in the Los Angeles neighborhood of Westchester, is Proud Bird, an aviation-themed restaurant and air museum. To the west is another flight-themed destination, Flight Path Learning Center and Museum. 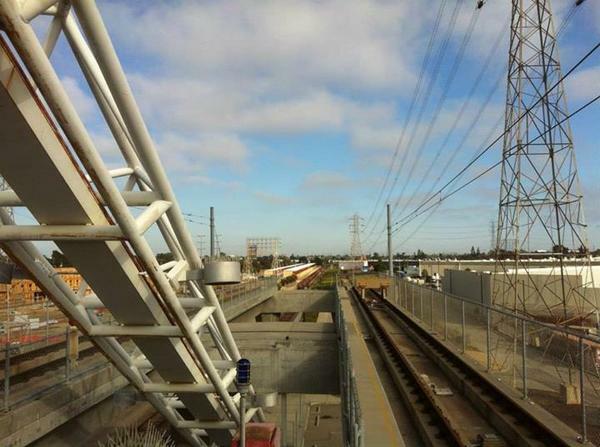 After the Green Line departs from the 105, it winds leisurely southward through El Segundo. 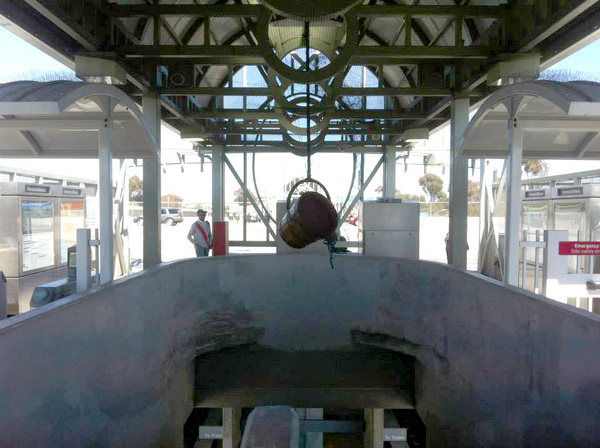 The first El Segundo Station is Mariposa, close enough to the ocean that one can smell it, but still 4.5 kilometers away. 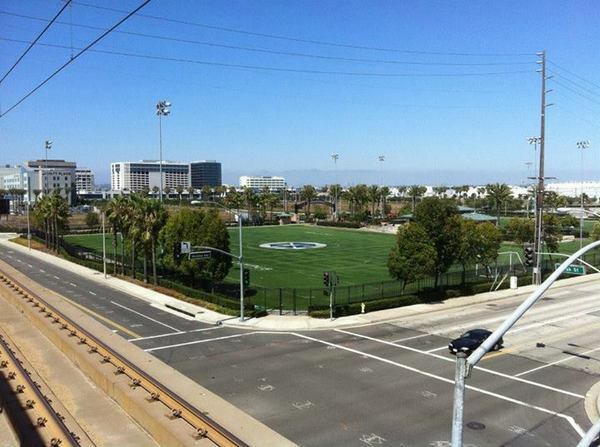 Nearby is a park popular with soccer and lacrosse players, Campus El Segundo. There’s also the Toyota Sports Center, a practice facility for several professional sports teams and a public skating rink. 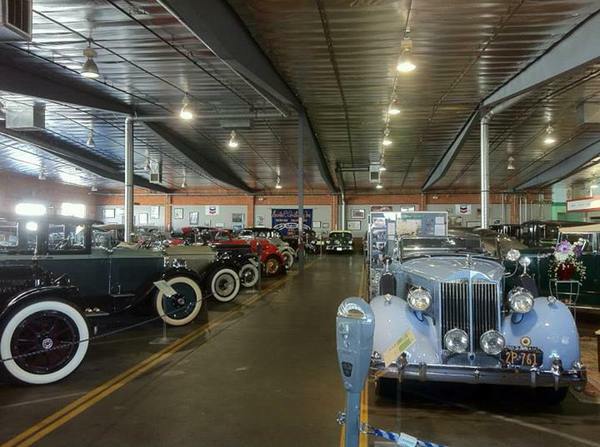 A little further west is the Automotive Driving Museum, which houses an impressive collection of classic cars. 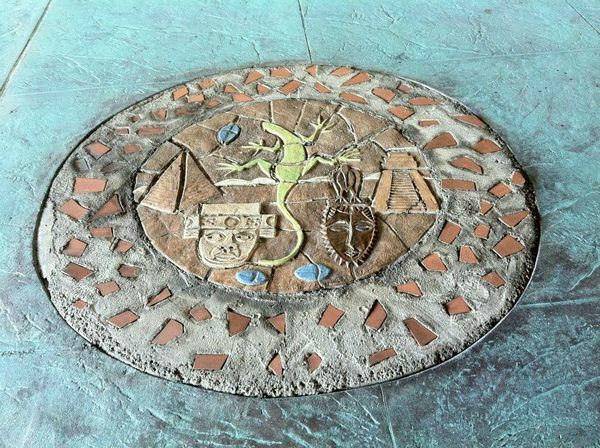 Closer to the station, a mid-century office building at Mariposa and Nash is home to several pieces of public art made by Gidon Graetz and Mark Stasz, whose work I recognized from having seen other examples along the Downtown Los Angeles’s Calvin S. Hamilton Pedway. 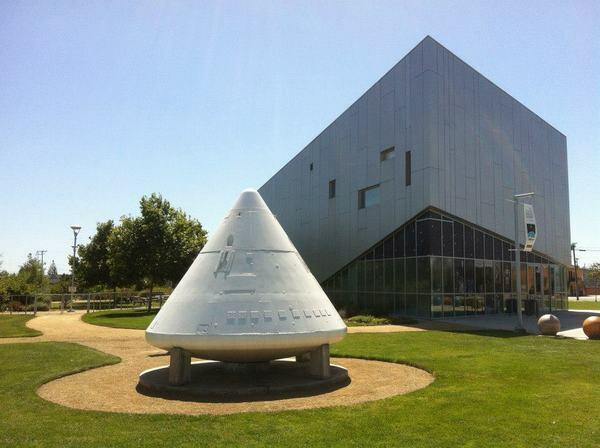 El Segundo Station is located about half a mile from Mariposa in another part of the aerospace hub that’s home to Raytheon Space and the Aerospace Corporation (home to Charles C. Lauritsen Library). The aerospace industry is given a sly nod by the station art, Daniel J. Martinez‘s For Your Intellectual Entertainment, which depicts a large set of hands poised to launch a small, paper airplane. There’s little in the immediate vicinity for explorers besides tidily-landscaped business campuses, vast parking lots, and anonymous, mid-rise skyscrapers. 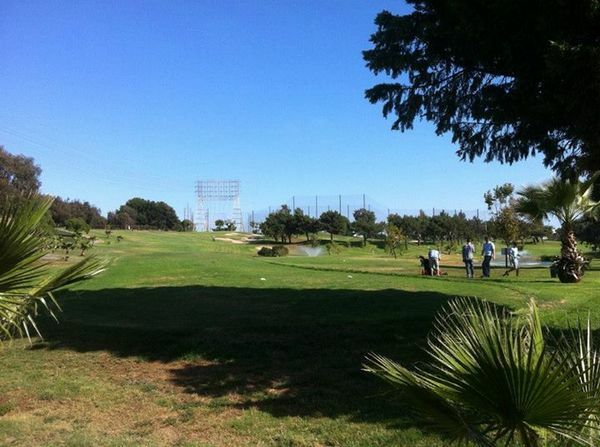 A little west of the station is a golf course, The Lakes at El Segundo. 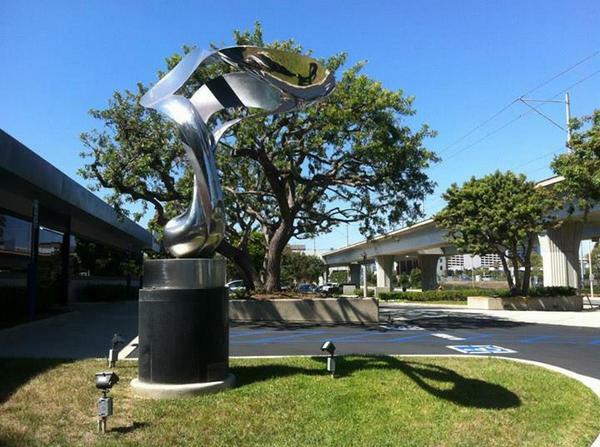 South of that is the large Plaza El Segundo, the property of which includes ten salvage sculptures made by Phillip Glashoff. 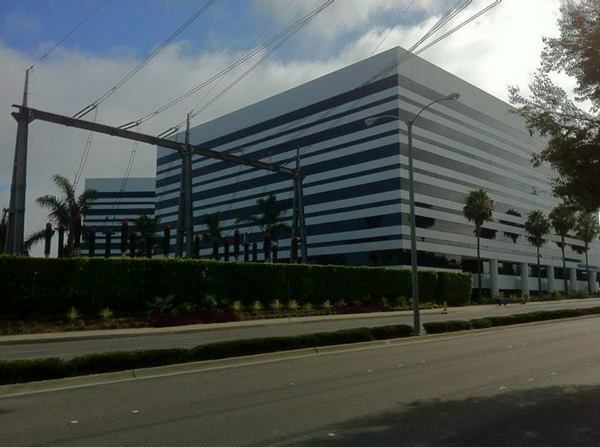 A mile south of El Segundo Station is Douglas Station, located near the city of Manhattan Beach and numerous shopping centers, including Beach Cities Plaza, Manhattan Gateway, Manhattan Village, the mixed use Continental Park, and coming soon – The Point (why not “The Point at El Segundo,” I wonder). Across from the Manhattan Towers office complex is an Air Products and Chemicals plant. 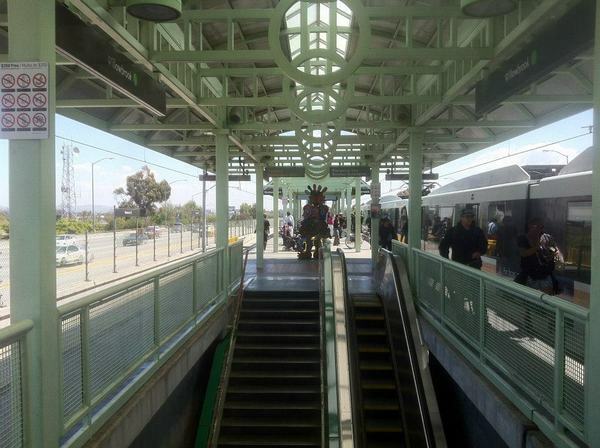 At four kilometers from the coast, Douglas Station is also the closest Metro Green Line stop to the ocean. 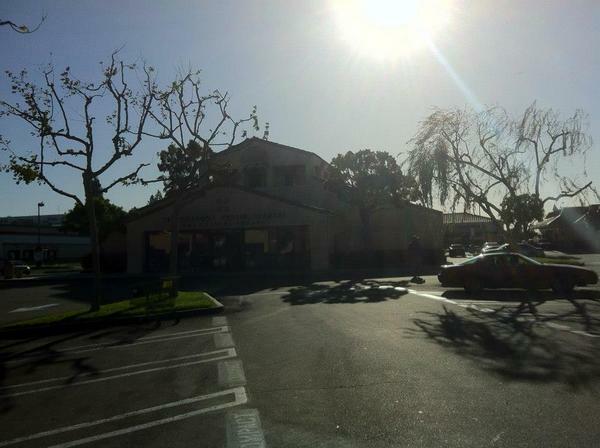 Redondo Beach Station is located in the city of Redondo Beach, on the border with Hawthorne and the city of Lawndale. 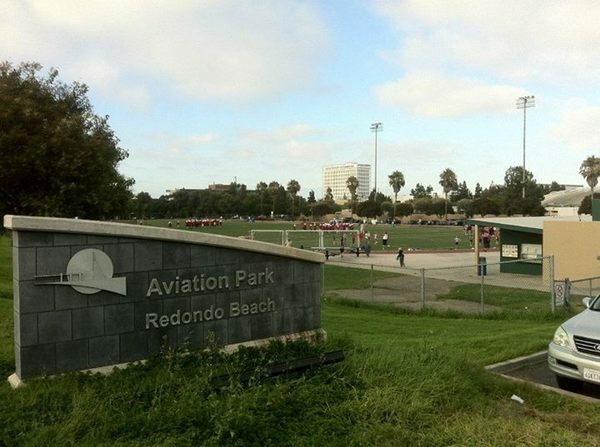 Though one of the South Bay’s so-called “Beach Cities,” the station is located in landlocked North Redondo Beach near yet more Northrop Grumman properties. The air eerily crackles with electricity from Southern California Edison‘s large El Nido Substation, also located near the station. Beneath the buzzing transmission lines are the popular Aviation Park (including a large gymnasium) and the Redondo Beach Performing Arts Center. 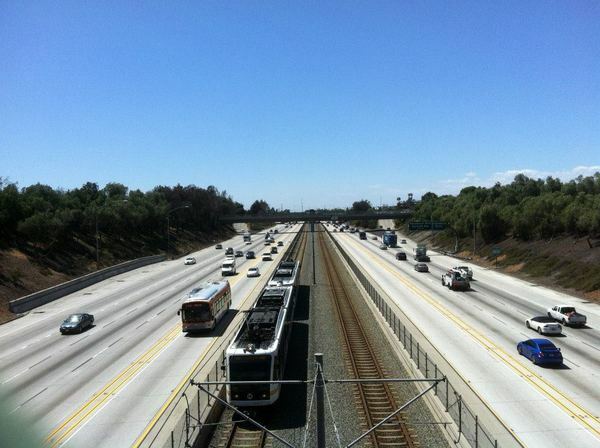 The plan is to extend the Green Line further south to Torrance Prefecture‘s planned Torrance Regional Connector. Its construction is set to take place on a larger, former industrial site located near Honda and Toyota‘s North American headquarters. Further down the line the Green Line will likely extend either to Long Beach or San Pedro. 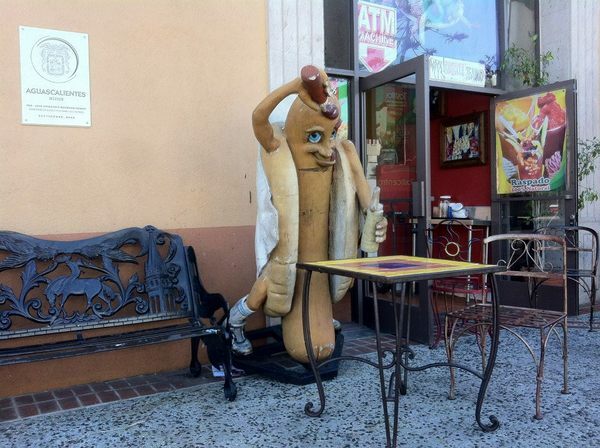 When that happens, exploring the totality of the metropolis will get that much easier… and enjoyable! Meters? Hectares? Are most of your readers in foreign countries? This is the USA! We use the old-school units of measure. And I presume your title “Nobody Drives in LA” is facetious. Anyone who rides the Gold Line in the middle of the 210 around 4:30 would question that statement. Most of my readers are Earthlings and most Earthlings are familiar with metric. Only a percentage of Americans are only familiar with British Imperial Units, the continued use of which is unpatriotic and smacks of colonial mentality. We were taught metric in American public schools, every scientist uses metric, every person in medicine uses metric, and the one third of Angelenos born abroad are primarily familiar with metric. For most of the world, “acres” and “miles” are as meaningless as furlongs, roods, fathoms, hundredweights, and slugs. But the set “earthlings” includes the subset “Americans” (meaning citizens of the USA). And Americans have stoutly resisted complete “metrication”. SI units have made inroads in the field of firearms, they rule in the worlds of photography and medicine, but when I go to the lumber yard, building materials are still sold in feet, inches, pounds and gallons. American sports are firmly anchored in the traditional units, with 400-foot home runs, 50 yard lines, and 6 foot 10 inch tall basketball players. Maybe we Yanks are mired in the past, but many of us feel comfortable there. And even in England, where the SI is supposed to be the law of the land, characters in PBS shows set in present times still use “stone” (14 lb. or about 6 kg) in measuring a person’s weight.